XMTuner is a Windows application designed to replace the no-longer maintained uSirius and uXM applications that were written by Millard software. 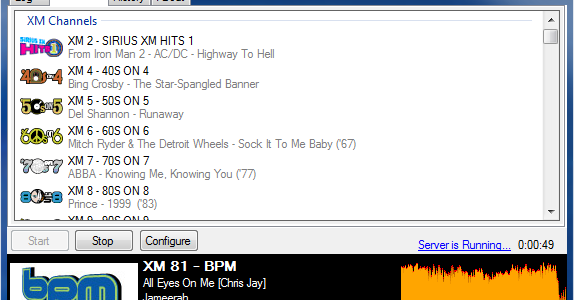 It was born when SiriusXM upgraded their internet radio player and broke the applications for good, as an avid XM Radio fan, and an owner of a set-top media player which was no longer as useful, my friend and I set out to write a replacement that would match as closely as possible the functionality of uXM, as well as to extend it with useful additional features. In the last few months, that’s exactly what we’ve done. Starting out with a simple featureless but functional application, and improving and adding to it bit-by-bit in each new version.